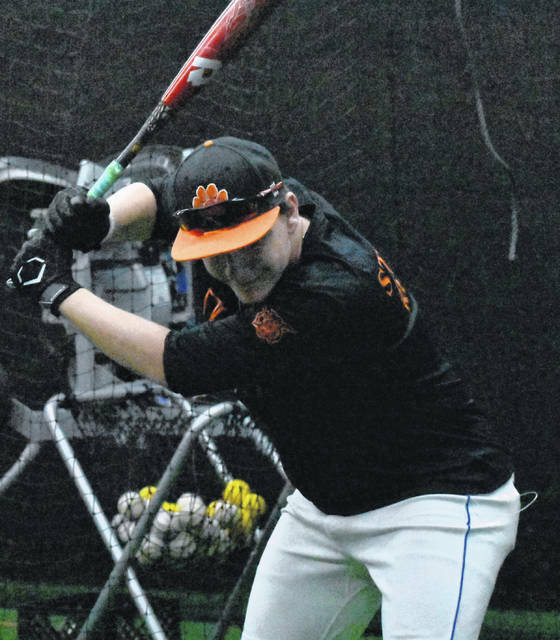 Whiteoak Senior Evan Brill practices hitting at the ‘Hack shack’ on the campus of Whiteoak High School on Tuesday as part of the Wildcats’ preparations for the upcoming season. Whiteoak Wildcats varsity Baseball Head Coach Chris Veidt observes his team as they practice hitting on Tuesday at Whiteoak High School. The 2018 Whiteoak Wildcats advanced to the Ohio High School Athletic Association State Final Four, earned a No. 1 ranking in the state, had six players named All-Southeast District, five players selected as All-Ohio, two players stole at least 40 bases in the same season, and the Wildcats recorded 28 wins. In addition to all of those accolades Whiteoak Head Coach Chris Veidt was selected at the 2018 Region 4 Coach of the Year by the National High School Baseball Coaches Association. 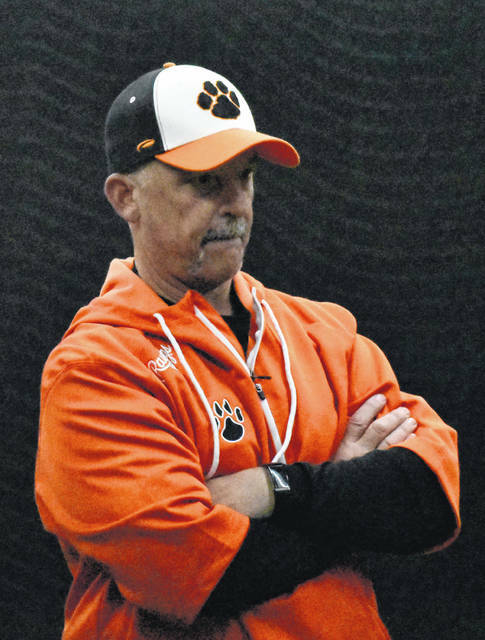 Veidt understands that the expectations from people in the community may be higher this season than they were in 2018 because of the teams’ appearance in the State Final Four. The Wildcats will not be putting added pressure on themselves this season and Veidt plans to take the same approach. “The only higher expectations we are holding is that of our Seniors. Being good social, academic and baseball role models,” Veidt told The Times-Gazette. Even though Veidt is not placing higher expectations on the team this year there are players that he feels will have an opportunity to contribute more to the team in 2019. “Ty Large, Zach Harless, Trey Bogart, Kyler Emery, Michael Igo and Jaycob Gross will all have opportunities to contribute at a much higher incidence than last season,” said Veidt. Key returners for the pitching rotation are Evan Brill and Chase Butler as they finished last season with nine and eight win respectively while Brill led the team with a .64 earned run average and recorded 62 strikeouts while only allowing 30 hits. Veidt feels that he has a complete team but is unsure of the overall depth that the Wildcats will have this season and cited depth as the one weakness the team has in 2019. Whiteoak always has fantastic support from the community and Veidt expects that to continue for the 2019 season.